Located in Luddenham, our florist delivers to a wide range of public locations, in addition to delivering to private homes. 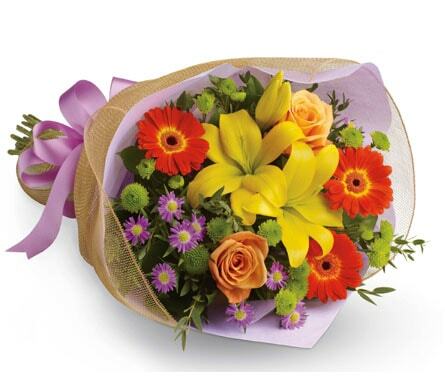 We bring flower arrangements directly to those receiving them in hospitals, medical clinics, rehabilitation centres and retirements communities, allowing to you sit back and relax knowing your order has been taken care of. Similarly, we take arrangements to the location of your function, ceremony or service, whether it�s at a church, funeral home or cemetery. We also deliver to areas beyond the borders of Luddenham. The churches that we deliver to in the area are of many different faiths and denominations. Some of them include Luddenham Uniting Church, St. James Anglican Church, St. Mary's Catholic Church, the Holy Family Centre and the Catholic Church on Willowdene Avenue. Among the cemeteries that we service in the area are Kemps Creek Cemetery & Crematorium, Pinegrove Memorial Park, Forest Lawn Memorial Park, Narellan Cemetery and Kingswood Cemetery. The hospitals and smaller medical centres to which we deliver in Luddenham and its surrounds include Nepean Hospital, Nepean Private Hospital, Luddenham Medical Centre, Liverpool Hospital and Braeside Hospital, Fairfield. A few of the nursing homes that we service in the area include SummitCare Liverpool, SummitCare CanleyVale, SummitCare St Marys, Scalabrini Village Austral and St. Stephen�s Village. 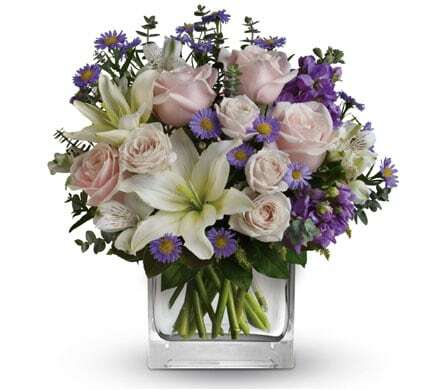 There is something for everyone at our store, but some of our floral arrangements are in such high demand that we�ve grouped them into a Bestsellers category. These ensembles in particular are adored for their beauty, versatility and ability to please over and over again. Our cute and bubbly �Starburst Splash� box is perfect for a birthday gift, an anniversary gift, or any time you�d like to surprise someone you care about. 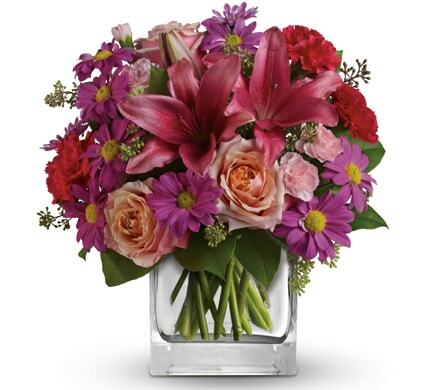 The eclectic mix of hot pink gerberas, orange lilies, yellow daisies and pink roses makes this ensemble enough to lift the mood and bring out a smile every time. The suburb of Luddenham is situated in Sydney, around 42 kilometres to the west of the city centre. It makes up part of what�s known as the region of Greater Western Sydney, and is bordered by suburbs like Mulgoa, Wallacia, Greendale, Bringelly, Badgerys Creek, Kemps Creek, Erskine Park and Orchard Hills. Luddenham is named after a property which one stood in the area, just between the Nepean River and South Creek. The property was owned by John Blaxland, whose family property back in Kent, England was known as Luddenham. A suburb rich in history, Luddenham houses buildings that have been standing for over a century. One of these is the current post office, which was opened in 1872.